One of the things I get to hear every year on the 4th of July is how much people appreciate the event held each year at the Jourdanton City Park. American Pride Day is a highlight of my summer and everyone always loves the food, drinks, and a great fireworks show to cap it off. As a police officer who attends in a more official capacity, I get to view the event from a different perspective. Aside from my professional duties there, one of the things that I soak in each year is the wide variety of society that gather to celebrate. There are people from all across the demographic spectrum. Young and old, rich and poor. Black, white, and Hispanic. Blue collar and white collar. Some who dropped out of high school and some who have a Ph.D. They all come to celebrate that which draws us together. And each brings his or her own American experience with them. As Americans we gather to watch the fireworks and we fly our flag to remember the birth of a nation. While social media would have us believe we are all very different, mostly we are very much the same. I have been fortunate to have traveled around much of the U.S. and while different areas have their own distinctive qualities and characteristics, there is a common thread you find no matter where you are in America. We see it in our military when men and women from all 50 states are thrown together and work as a successful team. No matter where I have been there is a pride when the national anthem is sung before a game. There is sorrow when a flag draped casket comes home. And there is a yearning for justice when our fellow Americans are attacked. We all may have a different idea of what success is, but in the vast majority of cases, we all stretch out as far as we can to reach it. It’s what Americans do. And while we are not a nation without flaws, our scars have always proven to ultimately strengthen us and the bonds we share as a people. Despite the fact that were are a smorgasbord of cultures and experiences, we all wear the label of “American” and while we hear about the negative aspects of our society on a daily basis, people from every nation in the world are still lining up to become one of us. And it’s with good cause that they do. You might dig ditches, or be the CEO of a Fortune 500 company. You may stock shelves, drive a taxi, pound nails on a construction site, or perform any other number of jobs that millions of us perform from sea to shining sea every day. What we all share is that same thread that those first Americans shared in 1776. 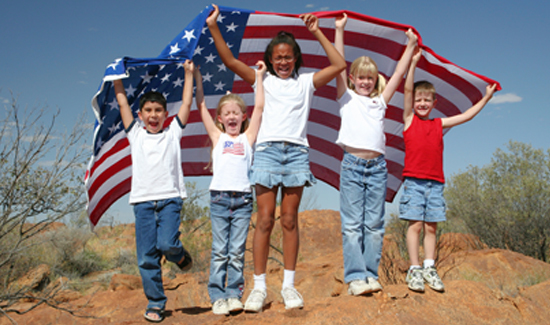 The drive to be the best we can be, the desire to make our nation better for our children then it was for us, and the knowledge that it is the responsibility of each of us to make our society the best the world has known. Despite what conflicts and struggles the coming generations face, I am confident that they will, as we have, triumph over adversity. As Francis Scott Key, the author of the “Star Spangled Banner,” wrote after watching Ft. McHenry come under withering attack for an entire night in 1814, an attack that no one expected the U.S. forces to survive, “ . . . our flag was still there,” and so it is today. Happy birthday, America. You wear freedom well, even after 240 years. And thanks to each of you who continue to make a positive contribution to this American experiment. 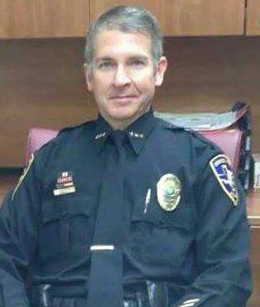 Eric Kaiser is the chief of the Jourdanton (TX) Police Department in Texas and a Master Texas Peace Officer.